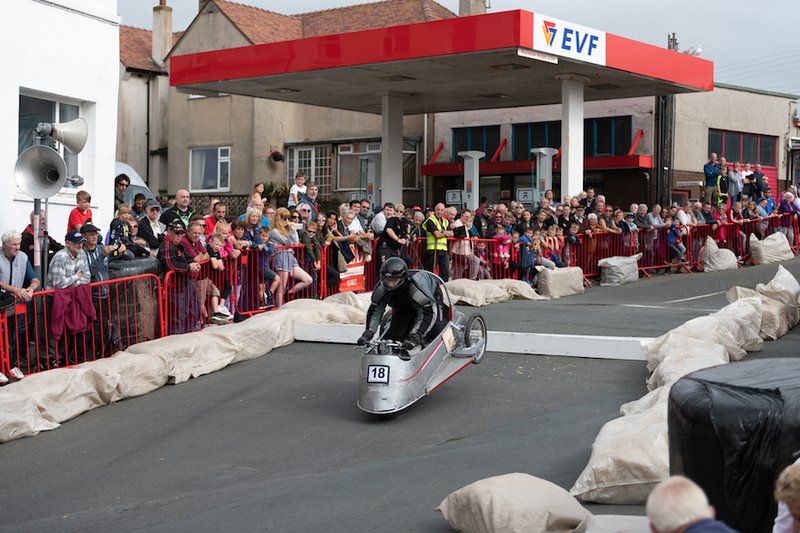 If you’ve seen the 1935 British musical comedy No Limit, you’ll understand the atmosphere of the annual Isle of Man Festival of Motorcycling. George Shuttleworth, played by comic songwriter George Formby, builds himself an AJS racer in his garden shed for his assault on the Isle of Man TT. 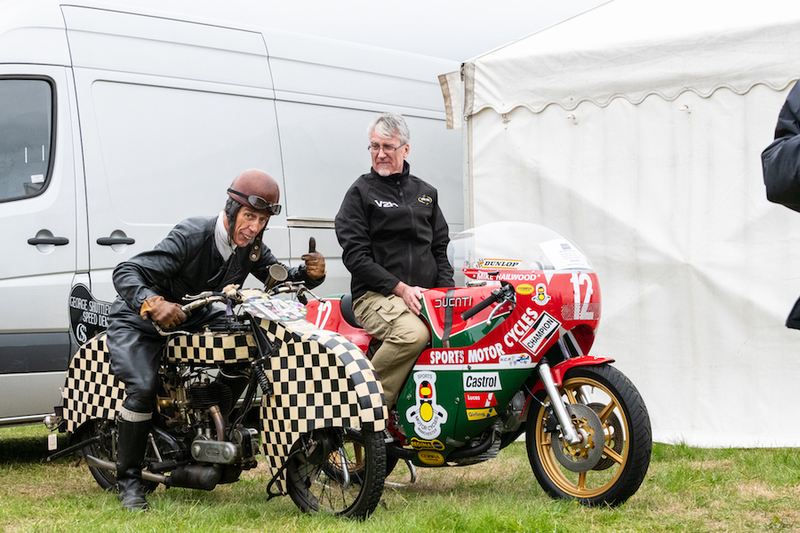 Riding a 350cc side-valve machine dubbed the Shuttleworth Snap, which wore distinctive black-and-white chequered skirts over each wheel, George goes on a musical slapstick search for TT glory. 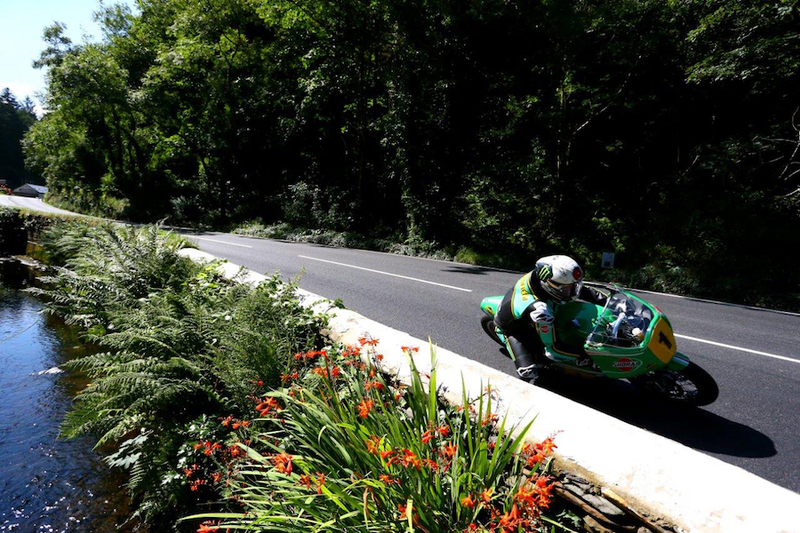 The Festival of Motorcycling is the evolution of what was once known as the Manx Grand Prix, the lesser-known race meeting held annually on the iconic Mountain Course. 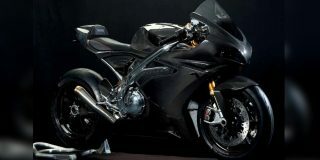 The Manx is open only to the amatuer George Shuttleworths of the world who are yet to race the Isle of Man TT. 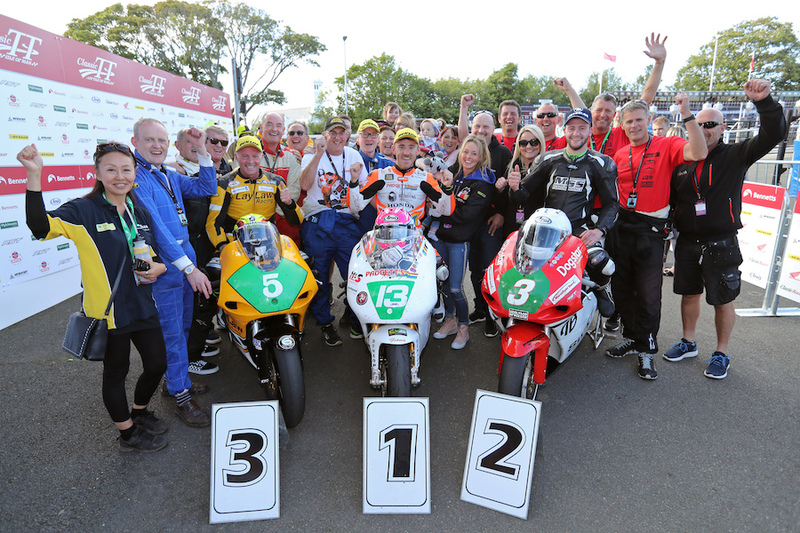 To capitalise on the superstars of Irish road racing, four Classic TT races were introduced to the event in 2013 – Senior, Superbike, Junior and Lightweight – and, unlike the feeder category, is open to anyone to enter. As historic racing exploded in popularity around the world, so too did the acclaim of the Manx GP that, mixed with the Classic TT and the various shows and festivals held around the island, was renamed the Isle of Man Festival of Motorcycling. 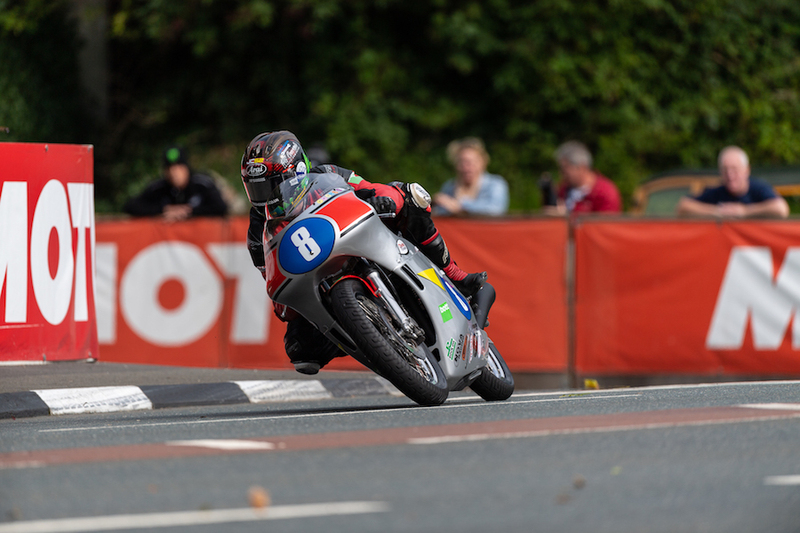 The 2018 Festival was headlined by the racing return of 23-time TT winner John McGuinness after injury, but was hampered by weather. Rain and fog meant delays and postponements all week, which was both tough on the minds of the competitors and the set-ups of the machines. The day-on/day-off schedule of the event meant that, with a bit of patience and persistence, each and every race was eventually run. 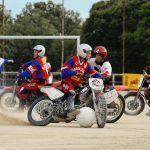 And while we won’t spoil the ending of George Shuttleworth’s plight around the Isle of Man some 83 years ago (if you haven’t seen the film, you really should), this is how the 2018 Isle of Man Festival of Motorcycling unfolded, complete with a George Shuttleworth impersonator riding around the paddock on a replica Shuttleworth Snap. 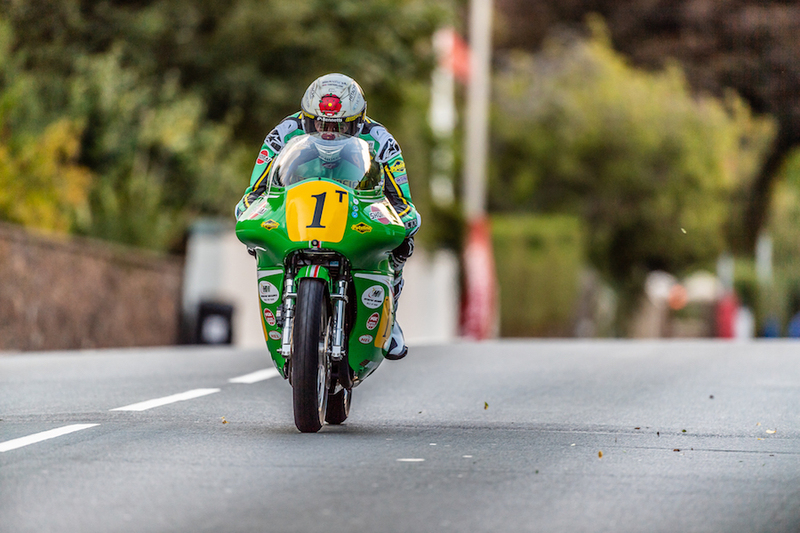 With John McGuinness making his much-anticipated return to racing on the Roger Winfield-prepared 500cc Paton, all eyes were on the 2018 Senior Classic TT. Despite a heavily reduced practice schedule and only having ridden a couple of parade laps during this year’s IoM TT, there’s not many people more familiar with the 37.75-mile circuit than the Morecambe Missile. 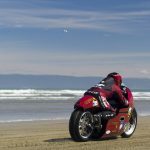 “I had a lot of time to think about a lot of things during the time I was injured, and we worked out I’ve done about 49,500 miles around the Isle of Man,” he said during the lead-up to the event. 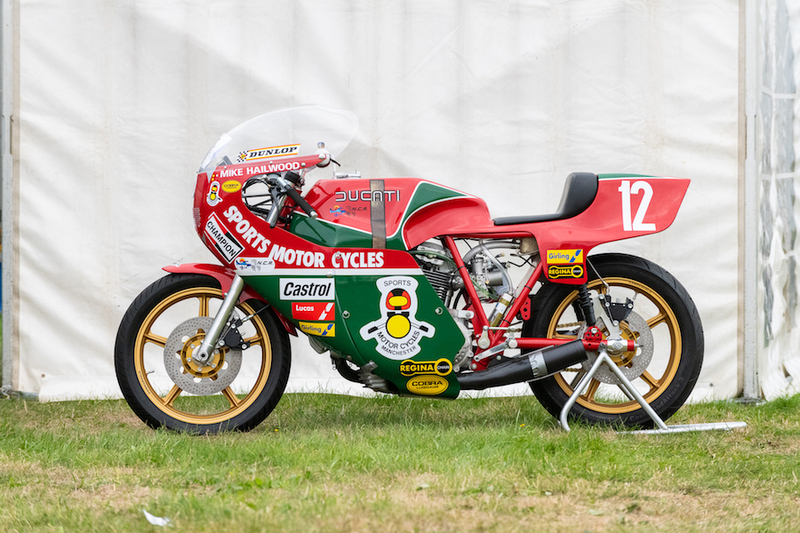 And it was a combination between that experience and the superbly fettled Paton motorcycle that saw McGuinness take another popular TT win on the Mountain Course. 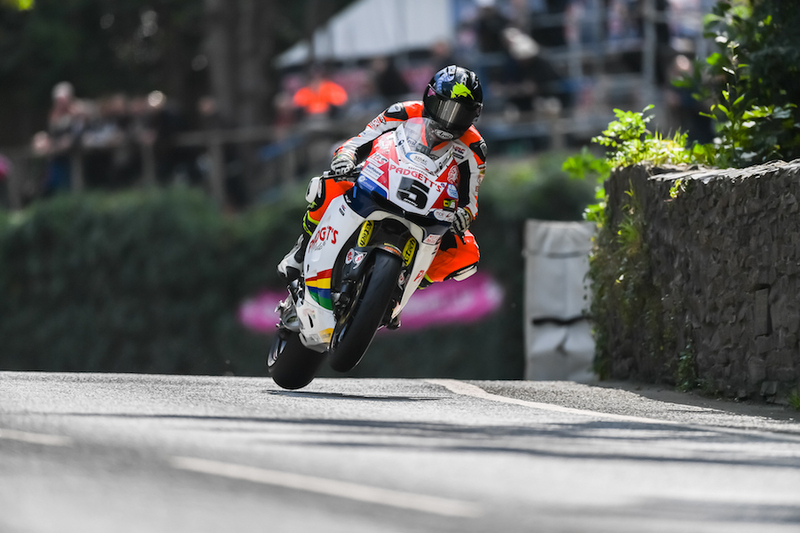 “I got a bit teary goin’ up the Mountain,” McGuinness revealed following the victory, in what was his first race in 16 months. 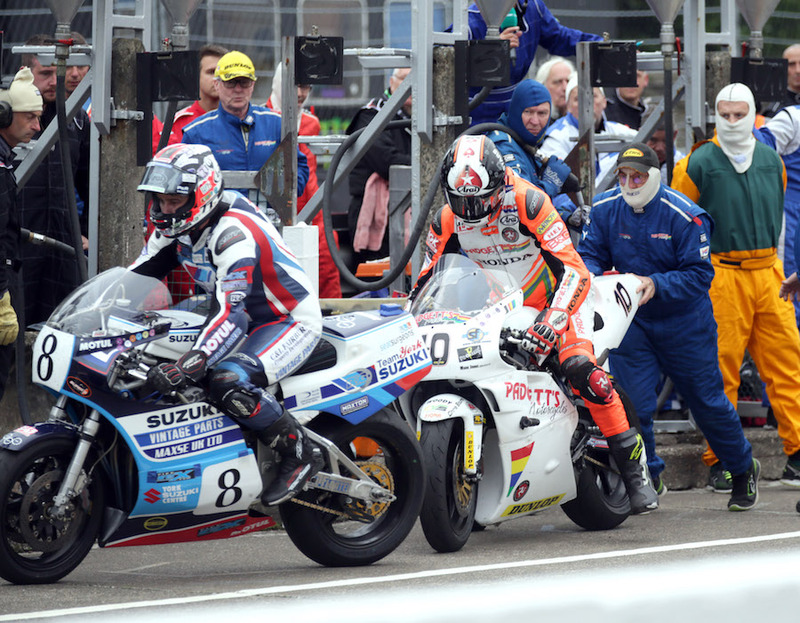 McGuinness won from Jamie Coward (Norton) and Lee Johnson (Honda). 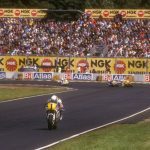 “I’ve always wanted to ride a 250cc around here, it was one of my childhood dreams,” said Johnston, who went into the race having never raced a two-stroke. 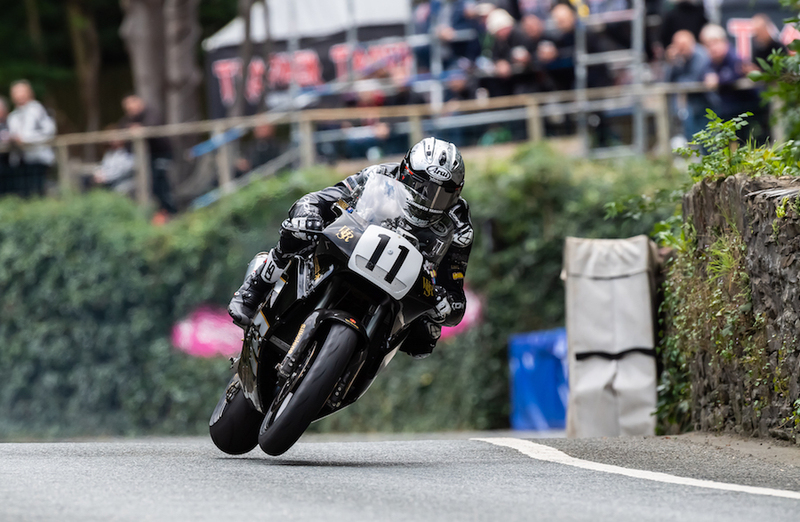 Yamaha-mounted Adam McLean led most of the race but a determined Johnston clawed his way into top spot to take his second-ever victory around the Mountain Course, ahead of McLean and IoM TT veteran Ian Lougher, also on a Yamaha. Rising road racing star Dean Harrison (Yamaha) also raced a two-stroke 250cc for the first time, and the weather didn’t help him gain much needed experience. Despite this, he crossed the line in fourth place just 90 seconds behind Johnston after 80 minutes of racing. 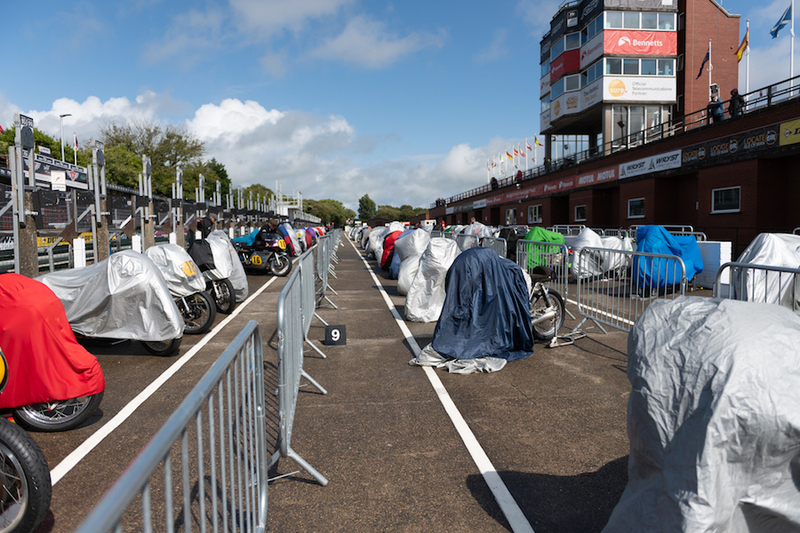 The 2018 Junior Classic TT may have been reduced from four laps to three due to the wet conditions, but the action was still fierce. 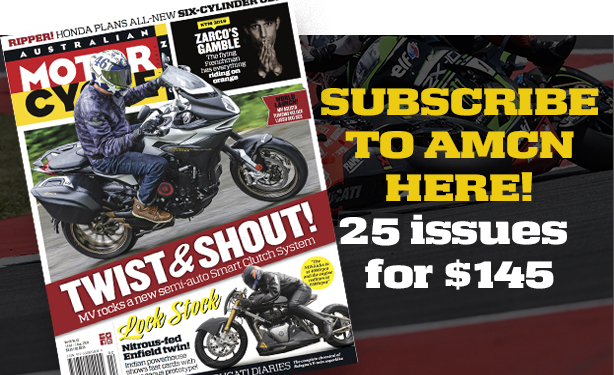 Future star Dominic Herbertson celebrated his first ever Mountain Course victory on board his Honda CB350 and, after a string of strong performances during the 2018 road racing season, it’s unlikely to be his last. 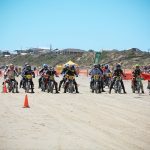 Jamie Coward, Alan Oversby and Lee Johnston, all riding CB350 machinery, pushed Herbertson all the way to end of the hour-long race, but the 27-year-old kept a level head and took the win. Jamie Coward finished the TT in second place while Johnston, who holds the category lap record, pipped Oversby to third place. 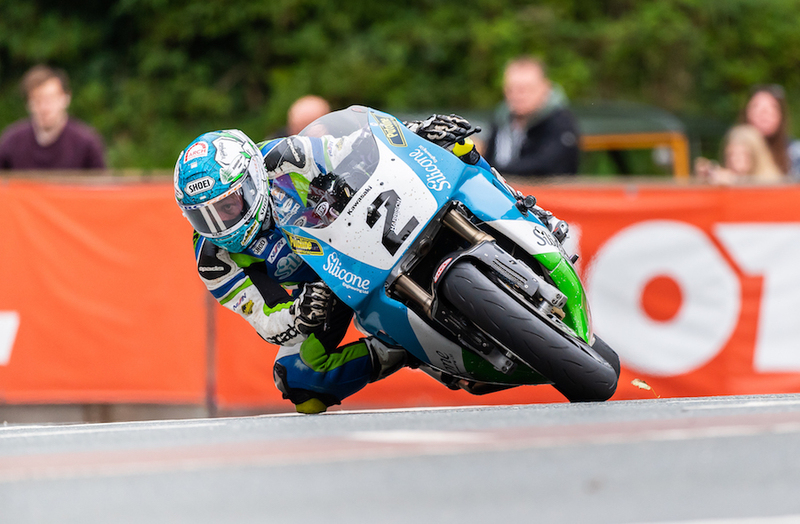 Dean Harrison went into the Superbike Classic TT as the clear race favourite. He had won the 2017 event, he’s had a stellar 2018 season, and he lit up the timing screens in the opening night’s practice session, setting a time some 30 seconds quicker than the rest of the field. 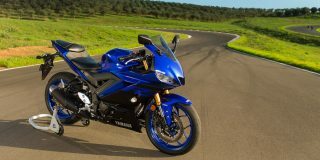 After Harrison’s 2017 win on a Kawasaki ZX-7R, the once favoured 1300cc Suzuki XR69 bikes were few and far between this year, with many of the front-runners opting for the smaller capacity but mechanically more modern 750cc Superbikes. There was drama from the outset. James Hillier (Ducati) was leaking fuel on the startline and was ushered away to rectify the problem, before Aussie Josh Brookes stalled his rotary-engined Norton just before he was due to launch down Bray Hill. 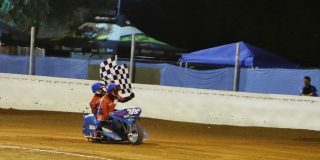 The Sydney-born rider eventually got it going but left the start more than 30 seconds later than he was meant to and, despite posting some front-running times, ended up retiring from the four-lap race. 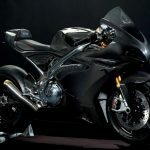 All eyes were on Conor Cummins, who had been drafted in to replace Kiwi rider Bruce Anstey and was riding the lap record-holding Yamaha YZR500 two-stroke for the first time. And he did, but the win went to Dean Harrison, who said that once he got the first lap out of the way he felt fast and comfortable. Horst Saiger (Kawasaki) was second, while Cummins, who has recently opened a coffee shop on the Isle of Man and whose wife is expecting their first child, rounded out the podium in third on the 500cc grand prix machine. 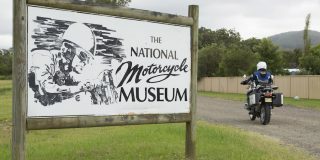 It was a less than memorable event for the two Australians present, Josh Brookes and David Johnson, who both retired from the Superbike Classic TT with mechanical issues. It started how it ended for Davo, who suffered clutch problems during his Superbike qualifying session, which meant the Aussie could only post one quick lap. However, his experience around the Mountain Course meant his credible 114.825mph result was good enough for 12th place on his York Suzuki. Meanwhile, Brookesy posted a best qualifying lap of 114.035mph on the Wiz Norton, putting him two places down the order in 14th. 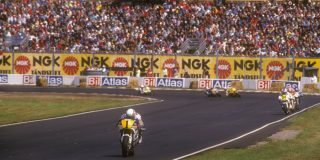 Despite stalling on the start line and missing his starting slot, Brookesy had a flyer of a first lap once he eventually got underway and was up to eighth by the end of the opening lap. He fought his way up to as high as seventh but lost a swag of time before Cronk Ny Mona and retired on the following lap. 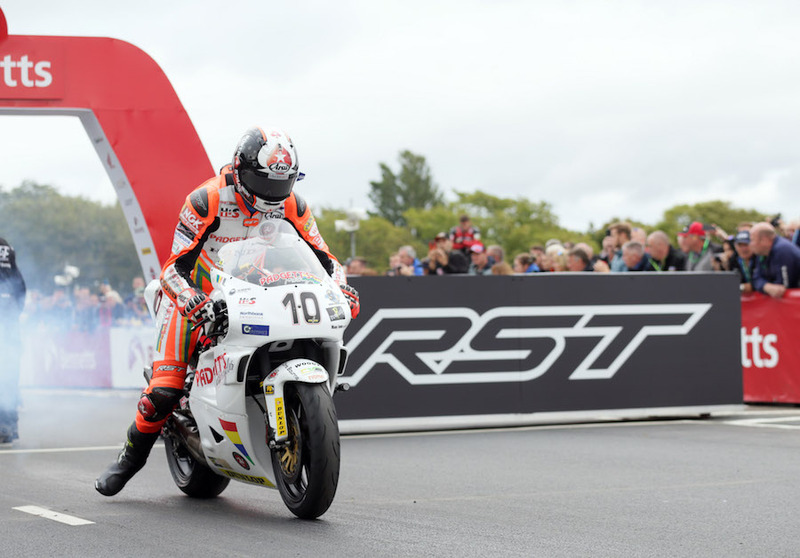 Johnson was up to seventh place on his opening lap, posting a quick 121.436mph average before also retiring from the Superbike Classic TT, again as a result of mechanical issues. Okay, he might not officially be an Aussie, but legendary Antipodean Bruce Anstey is too nice (and fast!) a bloke not to call him our own. 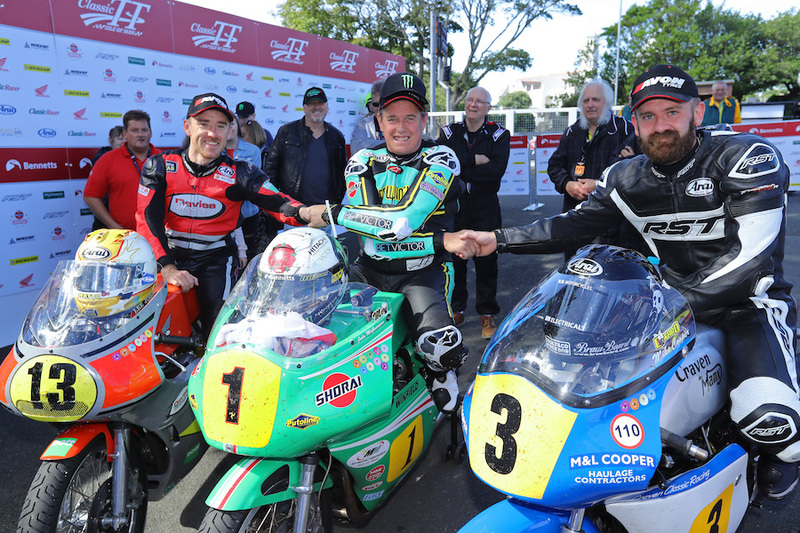 While the legendary 13-time TT winner wasn’t able to race in anger at this year’s event due to battling cancer for the second time, the 49-year-old Kiwi was at the event and even managed a so-called parade lap on the Padgetts Honda RC213V-S machine he campaigned during the 2016 and 2017 Isle of Man TTs. “I’m knackered after that,” he said after his run.